September 2017 – You Asked It! CDC publishes annual summaries of domestic foodborne disease outbreaks based on reports provided by state, local, and territorial health departments. These summaries help public health practitioners better understand the pathogens, foods, settings, and contributing factors (for example, food not kept at the right temperature) involved in these outbreaks. 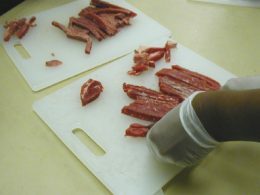 They also can help identify emerging foodborne disease threats and can be used to inform and to assess interventions aimed at preventing outbreaks. In 2015, 902 foodborne disease outbreaks were reported, resulting in 15,202 illnesses, 950 hospitalizations, 15 deaths, and 20 food recalls. 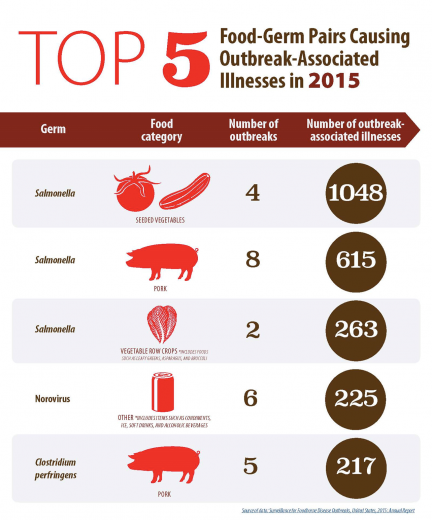 Norovirus and Salmonella were linked to 443 outbreaks. Learn more about this report at www.cdc.gov/foodsafety/fdoss/data/annual-summaries/index.html. Peaches are perfect this time of year! Savor the flavor now, and save it for later by preserving them in a variety of ways. Kick up the flavor of peaches by making a jam with peaches and jalapeno peppers. 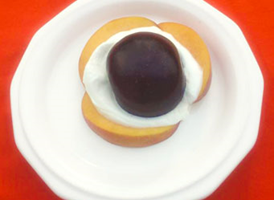 Try this recipe from Colorado State University. Wash, pit, and crush peaches. Wash peppers, remove stems and seeds, and chop finely. Combine peaches, peppers, water, vinegar, and lemon juice in a 5-6 quart pot. Bring to a boil, then reduce heat and simmer 20 minutes, stirring often to prevent scorching. Add pectin to the peach/pepper mixture. Bring to a boil over high heat, stirring constantly. Add sugar, stirring well to dissolve completely. Bring to a full rolling boil, stirring constantly. Boil hard for 2 minutes. Remove from heat and skim foam, if needed. Ladle into sterile, hot, half-pint jars, leaving 1/4-inch headspace. Wipe jar rims with a dampened clean paper towel. Adjust two-piece lids. Process in a boiling water bath for 10 minutes at 1000-6000 feet above sea level. Yield: 4-5 half-pint jars. 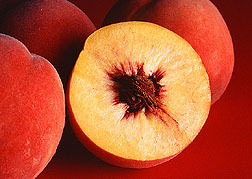 For tips on general canning and freezing of peaches, see www.bookstore.ksre.ksu.edu/pubs/mf1182.pdf. Give Acorn Squash a Try! September 7 is designated Acorn squash day. So give it a try! It can be served as a main dish, a side, or even dessert. Roast or steam for easy preparation. Then add it to pasta, puree into a soup, or stuff with your favorite meatloaf mix or apple mixture. Save the seeds and toast them like pumpkin seeds for a snack. The shells are useful as a serving bowl or soup bowl. Acorn squash come in a variety of colors such as yellow, dark green, tan, and orange. Spinach is a nutritious and economically important vegetable in our diet. But, many varieties contain high amounts of oxalate, a natural compound in the plant, that can lead to kidney stone formation. 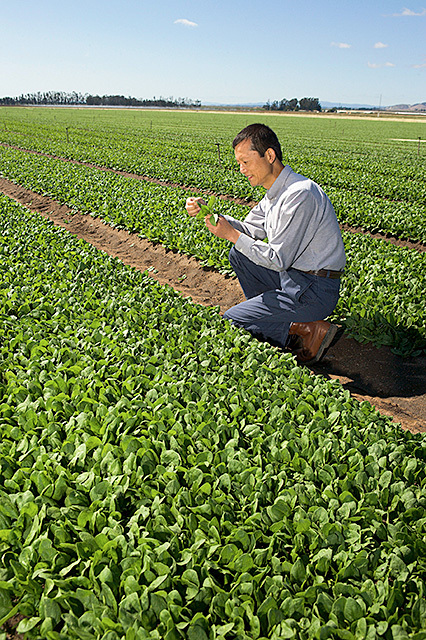 Researchers have now identified eight spinach varieties with low oxalate levels. 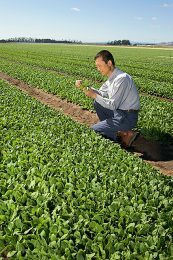 They analyzed the genetic code of 310 spinach varieties and identified six DNA markers that contribute to oxalate levels. Knowing the amount of oxalate concentrations in these varieties can help breeders reduce oxalate concentrations. Spinach contains higher concentrations of oxalate than most crops, but it is an economically important vegetable crop worldwide and it’s considered healthful because of its high concentration of a number of key nutrients. Foods such as beets, rhubarb, strawberries, nuts, chocolate, tea, wheat bran, and almost all dry beans also are known to increase oxalate in the urine and may contribute to kidney stone formation. Because of rising rates of obesity and dental health issues in children, the American Academy of Pediatrics now recommends against feeding children under age one any fruit juice. They recommend 100% fruit juice as part of a healthful diet for children over age one. It should be limited to 4 ounces daily for ages 1-3; 4-6 ounces for ages 4-6; and 8 ounces for children 7-18. Toddlers should not drink juice from sippy cups or bottles and not served juice at bedtime. This change marks the first change since 2001 by the American Academy of Pediatrics. For details on this new advice, see http://bit.ly/2qHgLV6. Maceration of fruit is simply giving it a good soak. This technique helps break down the cell walls in fruit to release flavor and aroma from within the fruit. The softened, and newly flavored, fruit can be used as a sauce, a dessert, or a filling. Ingredients to help macerate fruit include sugar, and a variety of alcohols such as liquors, liqueurs, and wine. Water, fruit juice and vinegar can also be used. Sugar helps draw out the water inside the fruit which reduces the internal pressure inside the fruit and it relaxes and softens. Alcohol triggers the osmosis process to draw water from inside the fruit. How long this process takes can vary from about 30 minutes to a couple days. 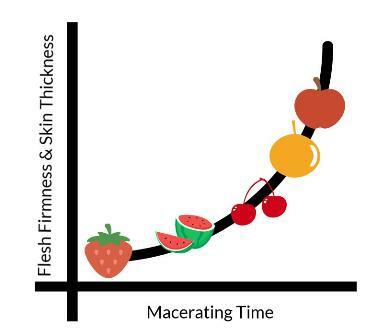 The time depends on the thickness of the fruit skin, the texture of the flesh, and the desired outcome. If mixing a variety of fruit, start with the firmer or thick-skinned fruit, then add the softer fruit later.